Post subject: Sail in Australia - no predators! and I have been worried about the odd white pointer. I can see that I'm going to have to invent the 'Crock-Shield' (dinamite). Ah, you'll be right Geordie...just stick to Cottosloe or Scarborough and play with your white pointers...dont go north of Broome though... if you do, don't tease those bloody great brown sea-snakes with your paddle remember, in an AI/TI we are sitting at water level and stay away from the mangroves and inlets...an AI/TI is not much protection from the saltwater Crocodiles...especially around breeding season. The kerfuffle in the NT News that that piccie of the croc Tony put on this thread stirred up is bloody amazing...seems the southerners...er sorry thats you and Tony...well the greenies anyway, kicked up a hell of a stink about the rangers shooting the animal regardless of the fact that it had been stalking kids fifty metres from houses. If our American fellow sailors want some amusement, just google 'NT News Front page" and at least once a week sometimes more there is a yarn about some croc causing mayhem somewhere here in the Top End. Theres something to be said in favour of carrying a 44 magnum in Darwin waters! If it works ok...modify it anyway! 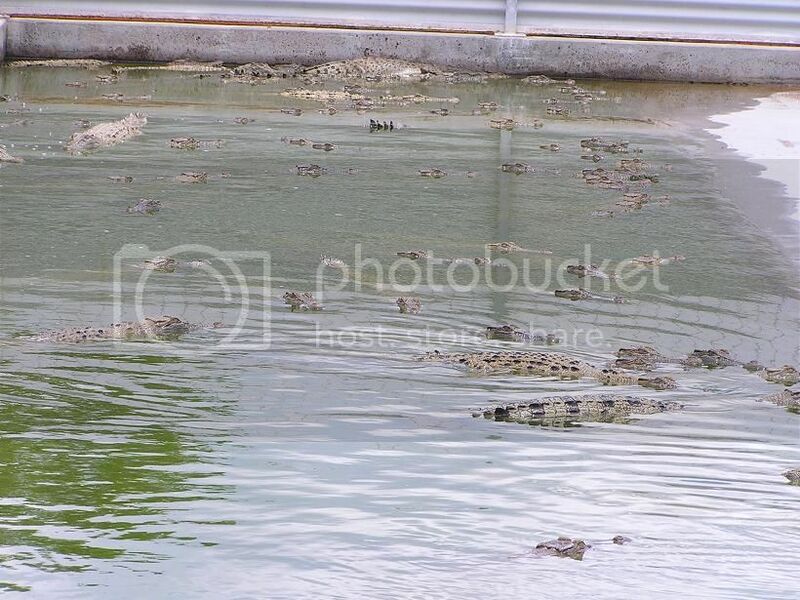 And there are about 500 crocs in this enclosure (up to five deep!)! 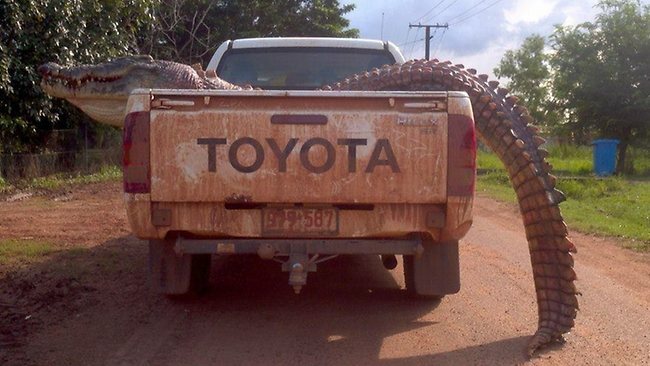 Yep, Croc farms are big business all right! It's a race between who gets in first...the 'fashion ' conscious wearing croc skin boots, carrying croc skin bags and dining on crocodile steaks (Yuk...very oily, like Mutton Bird) or the crocs in the wild who dine upon the fashion conscious tourists who go swimming in the most ridiculous places! Ian (VintageReplica), sent me this picture a few months back. That's a full size wild boar in the croc's mouth. I'll let Ian relate the story behind this picture. 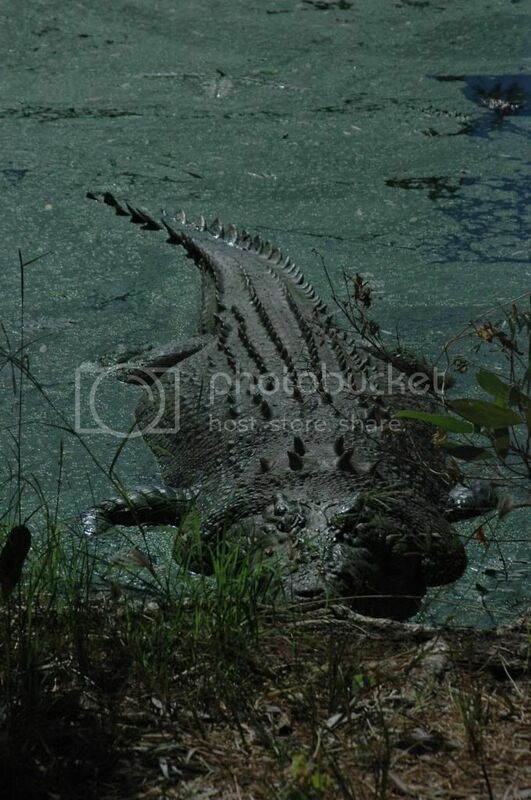 I am not a fan of Austrailian saltwater crocs ! "Why did the crocodile cross the road?" 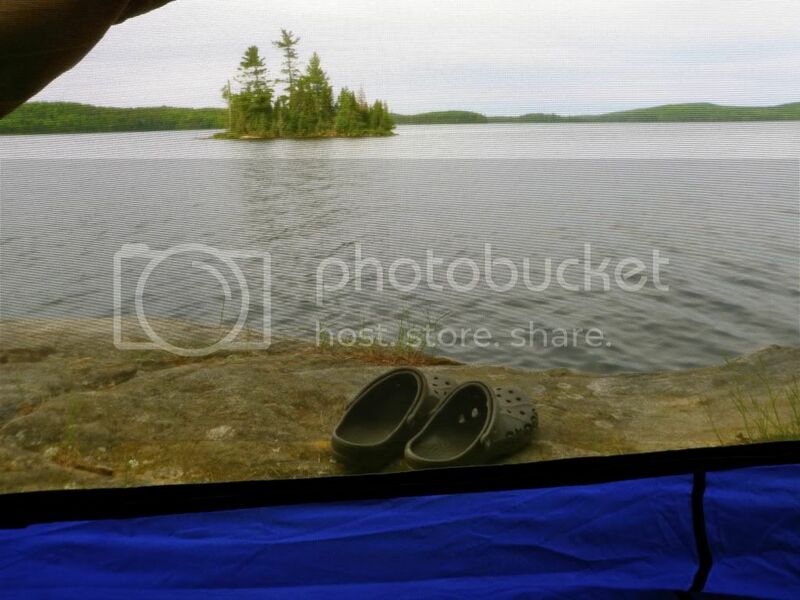 We have crocs here too you know. A couple of years ago, a pair of them sat just outside my tent... waiting.... Pretty intense stuff, I tell ya! Those Canucks always crack ME up! The international circle of humour. (or humor for some) We all have someone to crack us up. But I have to give it to Nohuhu, he's the one who gets me laughing the most on these forums. You should hang with Batman some afternoon - he's a joke machine. 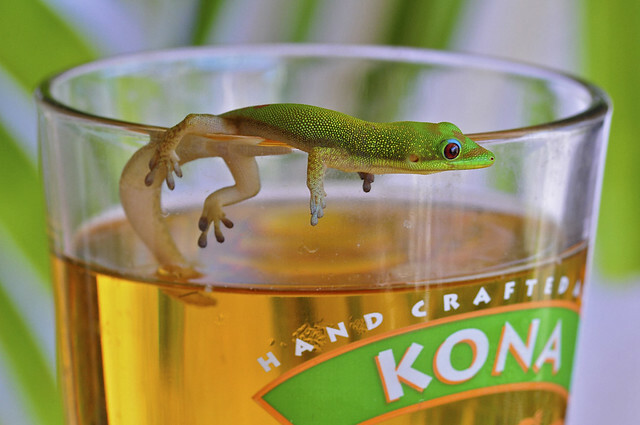 And BTW, our flesh-eating lizards live IN THE HOUSE with us, so don't go telling me YOUR problems,.. Thanks for the kooky post, Tony! In answer to your question Nohuhu..."to leave a trail of water!" Had I been in front of him I'd have left a trail of something quite different!!! That road runs by a river and the crocs nest is somewhere nearby...I didn't bother following him to find out just where. I was in a 4 berth campervan and decided to take the piccie from inside and sitting up high rather than hop out and ask him to pose to show off his prize. Those tusks on the porker would have made a good hunting trophy! 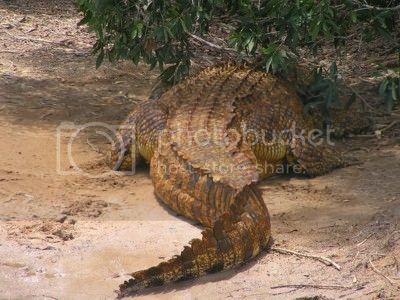 At least the big ones in northern West Aus are prety well fed with tourists. I don't think this guy could have fitted another kayak in. But I was not going to get too close just in case, so I took this shot out the window of the 4x4 with the telephoto lens.